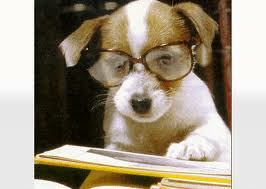 Each month you will find an article or information that is of interest to you and your dog. I am very interested in PREVENTION and ways to use natural remedies and alternatives for prevention and healing. VERY INFORMATIVE article from Dogs Naturally on "Why the UK Vets Ban Holistic Medicine"
EXCELLENT SITE: THE HAPPY DOG SPOT: dog care from an award winning canine writer. Includes an excellent link to "Ask a Vet. "Also dog illnesses, holistic care, vaccination information and much more. Requested, "Traveling Safely With Your Dog"
Service Dogs,Autism and Pet Ownership Resources,Wellness. These 4 new sections have been added due to requests from individuals who would like to share these resources with others.This section will be added to on a regular basis. I welcome suggestions. Is your dog itchy, flakey and having trouble not scratching from the dryness.... This awesome and revolutionary product from DERMOSCENT in France is amazing. Nose Work - A great way to stimulate your dog's mind, be able to work indoors, and HAVE FUN with your dog. Despite the Law, Here's Proof that Your Pet Probably Does Not Need that Vaccine. From the Journal of American Veterinary Medical Assoc. and Kansas State Veterinary Lab, an important new study on rabies that you will want to read. IMPORTANT IF YOU HAVE A PUPPY; Dr. Jean Dodd's NEW Vaccination Protocol for 2016. This has changed since than 2015 protocol. Dr. Dodds is now recommending a PARVO ONLY AT 18 WEEKS in addition to the 9-10 weeks and 14-15 weeks. The reason she writes is that "the vaccines are the same as they have always been and work effectively against the core parvovirus protein. They still protect against the virus even when the outer envelope mutates to a new strain. The reason why we need to give a last puppy shot at 18 weeks is because the current strain, PARVO 2-C, is especially virulent." This can be found on her COMMENTS for the 2016 protocol. Dog Food Advisor: this web site has excellent information on dog food along with those that have been recalled. You can sign up to be notified of recalls. On August 14, 2013, The Proctor and Gamble Company announced it is recalling specific lots of Iams and Eukanuba dog and cat foods due to possible contamination with Salmonella bacteria. ​An excellent 4-part series: Dr. Becker talks with Dr. Ronald Schultz, a pioneer and expert in the field of veterinary vaccines. Listen as the doctors discuss the history of dog and cat vaccines, and the real reason behind why your puppy or kitten receives so many vaccines in the first year of life. TRAUMEEL: Traumeel – an emerging option to nonsteroidal anti-inflammatory drugs in the management of acute musculoskeletal injuries. Excellent article to familiarize you with a natural alternative to potent anti-inflammatory agents or NSAIDs such as Rimadyl which can be dangerous to the liver. "Musculoskeletal injuries are on the rise. First-line management of such injuries usually employs the RICE (rest, ice, compression, and elevation) approach to limit excessive inflammation. Nonsteroidal anti-inflammatory drugs (NSAIDs) are also commonly used to limit inflammation and to control pain. Traumeel®, a preparation with bioregulatory effects is also used to treat the symptoms associated with acute musculoskeletal injuries, including pain and swelling. Traumeel is a fixed combination of biological and mineral extracts, which aims to apply stimuli to multiple targets to restore normal functioning of regulatory mechanisms. This paper presents the accumulating evidence of Traumeel’s action on the inflammatory process, and of its efficacy and tolerability in randomized trials, as well as observational and surveillance studies for the treatment of musculoskeletal injuries. Traumeel has shown comparable effectiveness to NSAIDs in terms of reducing symptoms of inflammation, accelerating recovery, and improving mobility, with a favorable safety profile. While continued research and development is ongoing to broaden the clinical evidence of Traumeel in acute musculoskeletal injury and to further establish its benefits, current information suggests that Traumeel may be considered as an anti-inflammatory agent that is at least as effective and appears to be better tolerated than NSAIDs."